On September 22nd, Glasgow hosted us for a day of tech and music at AlGirlRhythm. Held in the O2 Academy, young women met people from across the music industry, technology industry, engineering and also MusicTech, with the help of our friends Go Think Big. 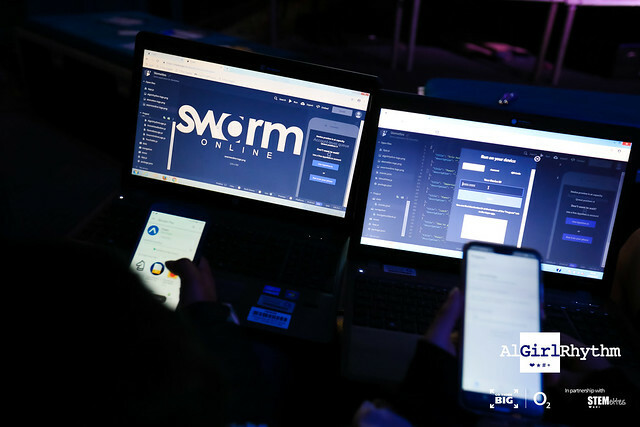 Throughout the day we ran a range of panels and workshops, workshops included app building with SwarmOnline and ‘We don’t want to talk about failure’. We had the pleasure of welcoming a range of people to partake in our panels and speed networking session including Abbey Road Studios! The day closed with some light-hearted Karaoke and with that we bid goodbye to everyone that came along and participated in our STEMazing day! In terms of impact, we had about 70 girls and young women attend. Guests rated the event 9.44 out of 10 and 94% left with an increased awareness of Music / Tech career opportunities. 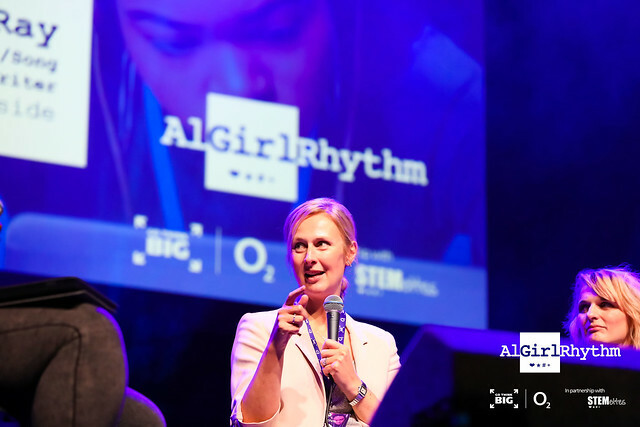 89.7% had improved confidence and 93.6% felt that being a part of AlGirlRhythm Glasgow has increased their likelihood of going into Music / Tech industry. Take a look at the pics from the day on our Flickr! Thank you to O2 Academy Glasgow for hosting us. Abbey Road Studios, SwarmOnline, Glasgow Caledonian University and the University of Strathclyde for providing panellists and participating in workshops. Of course, big thanks to Go Think Big for being the star of the show.